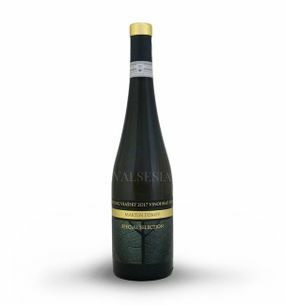 Welschriesling is a pleasant white wine of light green-yellow color, which you can find a wide variety of aromas and flavors. 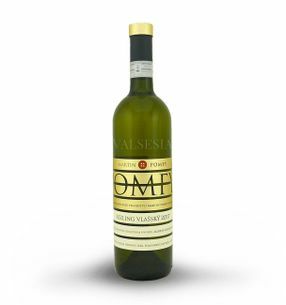 The aroma is Welschriesling presents a hint of lime blossom, flower, almond, as well as apple and honey tones, which reinforce the impression of pleasant wines with special attributes . These are full, fresh and harmonious flavor backed by a pleasant acidity. Rhine Riesling flavor is delicate with a beautiful bouquet of creating a comprehensive impression of pleasant wine with a long aftertaste. Due to acidity is Welschriesling suitable for medium-term archiving. Maturity achieved within 2-4 years. We recommended to be given at 10 to 12 ° C.
The dry Welschriesling is well suited to cold appetizer, a vegetable dish and a soup, a white cheese and also for fish, fine pate, ham or pork roast. It is pleasant refreshment in the summer heat as a wine spritzer. REPA WINERY Riesling cuvée 2016, quality wine, dry, 0.75 l Excellent cuvée varieties Riesling and Welschriesling full of pleasant aromatic lime blossom and hazelnut. Harmonious taste, soft korenistosť with a pleasant minerality so typical of the Small Carpathian wine terroir you will be astonished. 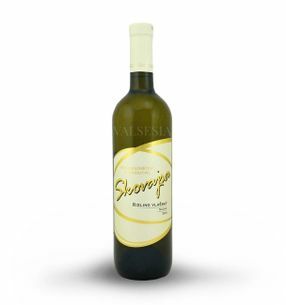 Skovajsa Welschriesling 2015, quality wine, dry, 0.75 l Interesting Welschriesling beautiful golden-green color. It has a beautiful, intense fragrance of a flower vine full of tones and fruitiness. The taste is deliciously juicy, full of fruit tones with long-lasting aftertaste. 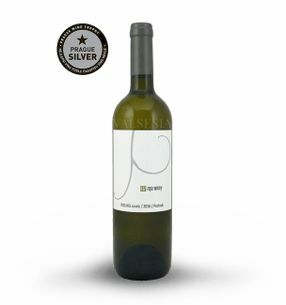 Skovajsa Welschriesling 2016, quality wine, dry, 0.75 l Interesting Welschriesling beautiful golden-green color. It has a beautiful, intense fragrance of a flower vine full of tones and fruitiness. The taste is deliciously juicy, full of fruit tones with long-lasting aftertaste. GOLGUZ Welschriesling 2017, variety wine, dry, 0.75 l The aroma is the Welschriesling pleasantly citrus, together with grapefruit tones and hints of overripe pears offers a wonderful aromatic sensation. 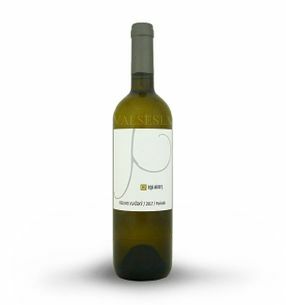 The taste gives freshness and subtle acidity gives the wine due account adds sparkle and fullness. REPA WINERY Welschriesling 2017, quality wine, dry, 0.75 l Great year 2017 also brought the excellent Welschriesling full of pleasant aromatic citrus, lime flowers, hazelnut with a fine almond tones with honey ending .. harmonious taste, soft korenistosť with a pleasant minerality so typical of the Small Carpathian wine terroir you will be astonished. 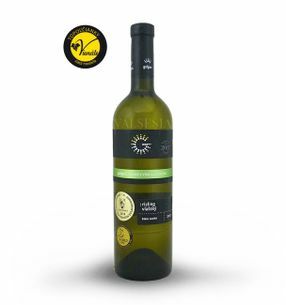 MAVÍN | MARTIN POMFY Rizling vlašský 2017, Special Selection, quality wine, dry, 0,75 l Welschriesling Selection Edition Special Selection wine pleasant aromas full of warm tones of lime, meadow flowers, but also the subtle tones and chamomile tea leaves. 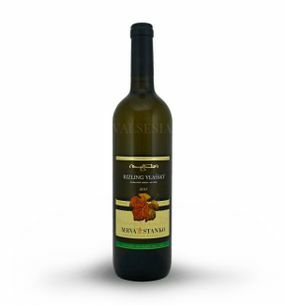 Wine smooth and juicy with flavor so typical of the Small Carpathian mineral fruitiness. 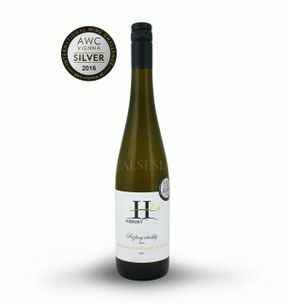 Víno Hubinský Welschriesling, r. 2015, selection of grapes, dry, 0,75 l Welschriesling pleasant fruity aromas of ripe peaches, pineapple and citrus fruits. 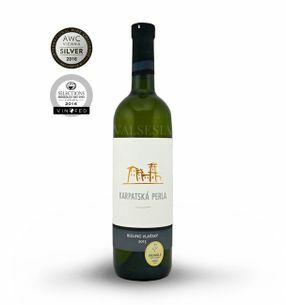 Great feeling of this wine to complement your delicious and fresh taste with a beautiful and elegant gradual conclusion of subtle tones of lime blossom.